I'll be back on Tuesday night with a winner for my In Case You Missed It Giveaway. 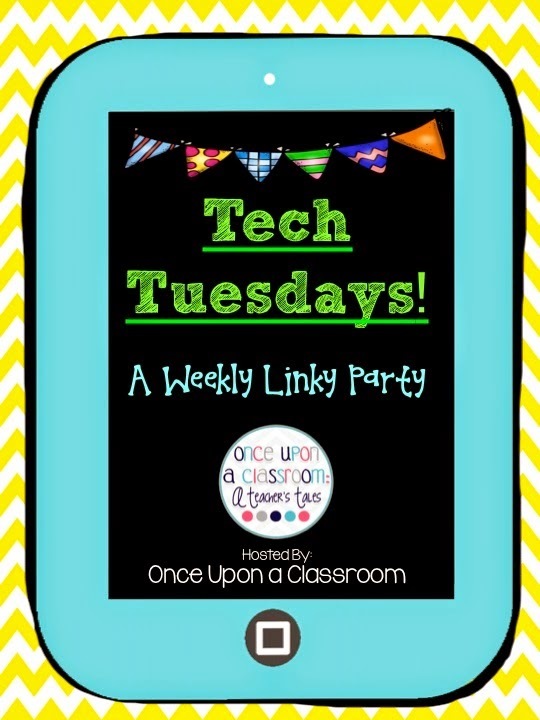 In the meantime, I'm linking up again with Once Upon a Classroom for Tech Tuesday, and also with Tech With Jen for Be Appy Monday. My school is fortunate to have had iPads since 2010. In the early days, we would connect a dongle in order to mirror the iPad's screen onto an interactive whiteboard. We only had one or two dongles, so most teachers would demonstrate an app by holding up an iPad and asking the students to look at the tiny screen. About a year ago, our tech manager introduced us to an inexpensive airplay receiver called Reflector, which eliminates the need for cords. Reflector works like Apple TV, but the price point is more affordable at only $12.99. Now, when demonstrating a new app, I launch Reflector on my Macbook and turn on Air Play on the iPad. I can also annotate PDF worksheets and use the iPad as a document camera, all from the comfort of my favourite chair, or even while walking around the classroom. One caveat is that iMovie doesn't seem to project. I'm sure there are other limitations, but this is the one that's bothered me the most. I've always found it frustrating when students created things on the iPad and we needed to figure out a way to get them off the iPad, so they could present their projects to the class. Nowadays, I have students turn on AirPlay when it's their turn to present. Although a single user license is limited to one computer, you can connect an unlimited number of mobile devices. Here's a link to instructions for using Air Play on your iPad. I hope you learned something new! Don't forget to check out the Once Upon a Classroom's blog and Tech With Jen's blog for more tech tips! I haven't heard of this tool. I'm fortunate to have an AppleTV, but I will definitely share this with others in my building looking for something inexpensive to project. Hi Nicole! I am so glad you linked up. I definitely learned something new. I cannot believe your school has had iPads since 2009! Wow. I use an Apple TV, but it was interesting to learn about the pluses/minuses to a much more affordable tool. Sometimes my Apple TV can have connection glitches. I hope you will link up again next week! Oops, it was actually 2010. I better edit my original post!